When you were buying books from Amazon back in the day, did you foresee the company running a multi-billion dollar cloud computing business, getting into pharmaceuticals, and owning a grocery chain? When you were watching ads for Apple desktop computers and cute clamshell laptops, did you see Apple becoming a personal wellness company? When Google made it easier to search for things online, did you think the company might someday sell virtual reality gear? Spent billions to create original content — $13 billion in 2018. Alienated the establishment, such as the Cannes Film Festival, which literally changed the rules of its own competition to block Netflix. Created a cottage industry of doubters, mostly investors who cannot abide its cash burn. At the same time, we all know what a visionary such as Netflix is capable of. Netflix does not disrupt industries. It creates them. Netflix has created a new model for hosting content and creating it. For being a movie distributor and TV network. For manufacturing popular culture. And now Netflix is making history. Not only is Roma a Best Picture nominee, it also boasts the the first-ever Best Actress nomination for an Indigenous Mexican woman, Yalitza Aparicio. And yet you may not be able to see Roma in theaters. That’s because often, visionaries play by their own rules, and those rules do not always go over well with the established order, as we’ve seen with the Cannes Film Festival. AMC Theatres and Regal Cinemas will refrain from showing Roma in theaters because Netflix did not adhere to the traditional 90-day theatrical release window. Instead, Netflix released Roma on its own platform less than a month after Roma appeared (briefly) in theaters. 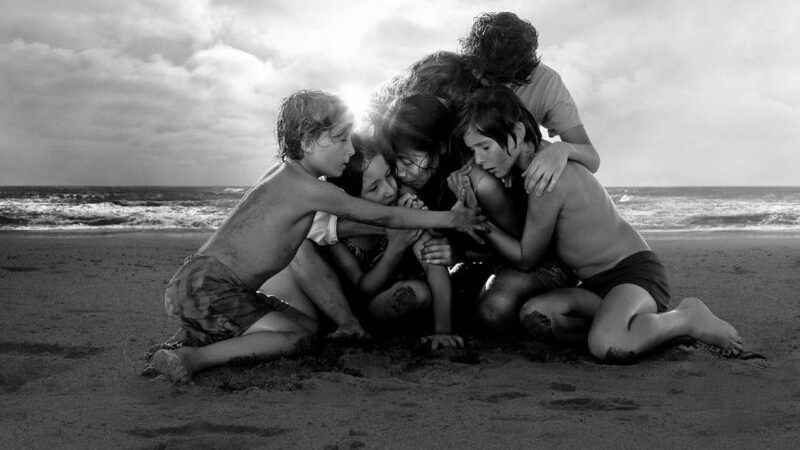 At the Golden Globe Awards in January, Roma won three awards, including Foreign Language Film, Director of a Motion Picture, and Screenplay of a Motion Picture. At the awards, Roma Director Alfonso Cuarón was asked to comment on a perception that Netflix is threatening independent cinema. No foreign language film has ever won an Academy Award for Best Picture. Netflix now has a chance to make history at the 91stAcademy Awards February 24. Netflix’s 139 million paying subscribers have already won. This entry was posted in Movies and tagged Academy Awards, David Deal, Netflix, Superhype. Bookmark the permalink.